Several applications may be required, 7-10 days apart. Avoid spraying during full flowering. Apply 2-5L/ha during active growth stage. 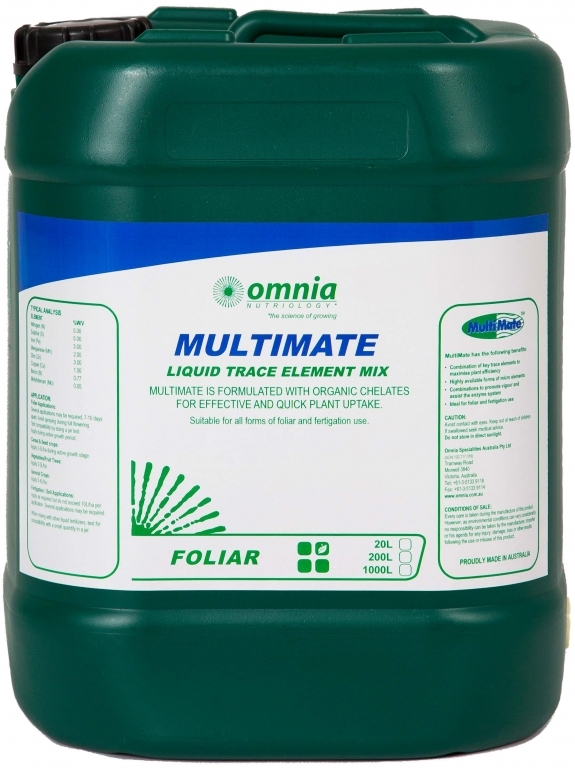 Apply 2-4L/ha Fertigation/Soil Applications: Apply as required but do not exceed 10L/ha per application. Several applications may be required.